All of our physicians are certified allergists with specialized training and expertise in understanding and treating food allergies. Through careful evaluation and diagnosis they can develop a treatment plan that is designed to make living with food allergies easier and safer. There are eight common foods that are responsible for a majority of allergic reactions: cow’s milk, eggs, fish, peanuts, shellfish, soy, tree nuts, and wheat. When you have a food allergy, your body’s immune system overacts to a specific protein in that food and causes symptoms of food allergy. While some reactions are milder- including hives, swelling, or teary eyes- some reactions, like anaphylaxis, can be life-threatening. 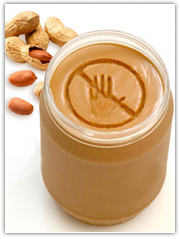 The best treatment for food allergy is avoidance; your allergist will help you develop a treatment plan that reviews food selection and preparation techniques. Our goal is to enable you to live safely with food allergies while also educating you on emergency treatment techniques, should you accidentally come in contact with a trigger food. The initial treatment for an accidental exposure to a food allergen is use of an epinephrine auto injector When you have a food allergy, preparation and education are essential. Accidents will happen; you always need to be prepared. Always carry your EpiPen with you. Call 911 for serious reactions; don’t try to drive to your house or the ER. Remember: food allergy reactions can be life threatening- always have an emergency plan.